The January issue of BOOK LINKS features multicultural literature, as usual, and this time my column focuses on novels in verse with the clever title (thank you, Gillian) of “Diverse Verse.” Here’s a chunk of that piece which you’ll find in its entirety here. With roots in ancient epic poetry, the verse novel or novel in verse, continues to grow in popularity, particularly with tween and teen readers. A narrative unfolds poem by poem, frequently with multiple points of view, plenty of dialogue, and in colloquial language. The best verse novels are built on poems that are often lovely stand-alone works of art. 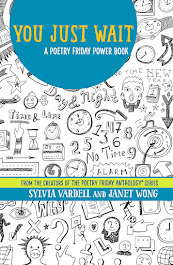 The novel in verse form offers the generous white space, short lines, and conversational tone that young readers who are still developing their comprehension expertise find helpful. This format is wooing many young people both to poetry and to reading in general—a promising trend. Add to this the emergence of more diverse perspectives in the creation of verse novels with many new poets to know. In his essay for The New York Times in March 2014, “Where Are the People of Color in Children’s Books?” Walter Dean Myers, author of several novels in verse, talks about his own development as a reader and a writer. He describes the turning point for him as follows: “Then I read a story by James Baldwin: “Sonny’s Blues.” I didn’t love the story, but I was lifted by it, for it took place in Harlem, and it was a story concerned with black people like those I knew. By humanizing the people who were like me, Baldwin’s story also humanized me. The story gave me a permission that I didn’t know I needed, the permission to write about my own landscape, my own map.” This “permission” has ushered in a whole new generation of diverse verse novelists. In the last five years, we have seen an explosion in the publication of novels in verse, particularly written by poets offering rich, diverse experiences. They’ve received Newbery recognition (e.g., The Surrender Tree), as well as Printz, Schneider, Batchelder, Coretta Scott King, and Pura Belpre distinctions. 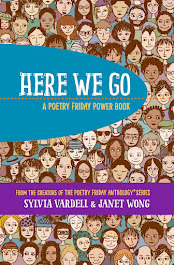 Seeking out poets that reflect parallel cultures with many diverse viewpoints enables us to show young readers both the similarities and the differences that make the human landscape so dynamic and interesting. These poets are using the language, experiences, and images of their cultures in ways that are fresh and powerful. 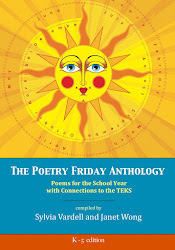 The special succinctness of poetry is also an appealing introduction into culture for students. Sometimes powerful points about prejudice, identity, and cultural conflict can be made in a very few words. In addition, we can also rediscover our human universality in the words and feelings of poems that cross cultural boundaries. These poets speak of their lives, of their color, of their humanity, of their humor. Some write in dialect, some use rhyme, some focus on racial pride, some share emotional universals; readers of all cultural backgrounds deserve to know their names and read their works. 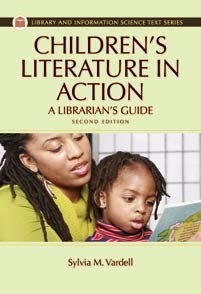 You’ll find a fully annotated bibliography at the BOOK LINKS site here. So, here is simply the list in a nutshell. Brown, Skila. 2014. Caminar. Candlewick. Burg, Ann. 2013. Serafina’s Promise. Scholastic. Cheng, Andrea. 2013. Etched in Clay: The Life of Dave, Enslaved Potter and Poet. Lee & Low. Clark, Kristin Elizabeth. 2013. Freak Boy. Macmillan. Crossan, Sarah. 2013. The Weight of Water. Bloomsbury. Crowe, Chris. 2014. Death Coming Up the Hill. Houghton Mifflin Harcourt. Engle, Margarita. 2013. The Lightning Dreamer: Cuba’s Greatest Abolitionist. Houghton Mifflin Harcourt. Flores-Scott, Patrick. 2013. Jumped In. Henry Holt. Frost, Helen. 2013. Salt. Farrar, Straus & Giroux. Janeczko, Paul B. 2011. Requiem: Poems of the Terezín Ghetto. Candlewick. Levy, Debbie. 2010. The Year of Goodbyes: A True Story of Friendship, Family and Farewells. Hyperion. Lewis, J. Patrick and Lyon, George Ella. 2014. Voices from the March: Washington, D.C., 1963. Wordsong/Boyds Mills Press. MacDonald, Maryann. 2013. Odette’s Secrets. Bloomsbury. Nagai, Mariko. 2014. Dust of Eden. Whitman. Nelson, Marilyn. 2014. How I Discovered Poetry. Dial. Newman, Lesléa. 2012. October Mourning: A Song for Matthew Shepard. Candlewick. Pinkney, Andrea Davis. 2014. The Red Pencil. Little, Brown. Sax, Aline. 2013. The War Within These Walls. Eerdmans. Thompson, Holly. 2013. The Language Inside. Delacorte. Venkatramen, Padma. 2014. A Time to Dance. Penguin. Woodson, Jacqueline. 2014. Brown Girl Dreaming. Penguin. As we select and share these verse novels with students, we can use a variety of approaches to engage them in reading, listening to, performing, discussing, and understanding these works. Here are just a few ideas. Guide students in discussing the experience of reading or listening to an excerpt of the book read aloud in contrast with hearing a professional audio adaptation of the book. We can help students contrast what they “see” and “hear” when reading the text with what they perceive when they listen to a professional production. Look for these audiobook adaptations as examples: The Crossover, Caminar, The Weight of Water, Salt, Words with Wings, Planet Middle School, Inside Out and Back Again, October Mourning: A Song for Matthew Shepard, The Red Pencil, and Brown Girl Dreaming. Does the audiobook version employ music or sound effects? What do these elements add to their understanding of the book? Is there a sole narrator, two narrators, or a full cast? How does that narrator use her/his voice to suggest character, create tension, or add emotion? How does listening to the audiobook enhance the understanding of cultural details, new names, and unfamiliar words? These diverse novels in verse can provide entrée into a discussion of culture, identity, roles, and expectations as depicted in literature. Work with students to identify cultural details in the verse novels they read that reveal specifics such as names, language/dialect, family structure, forms of address, foods, celebrations, musical references, and religious practices. Collaborate to research background information using nonfiction literature, websites, YouTube videos, local resources, community members, etc. Talk about the cross-section of similarities across cultures; their own and those they read about. Check out the discussion available on the “Official Campaign Tumblr” at the WeNeedDiverseBooks site: http://weneeddiversebooks.tumblr.com. Lead students in creating a PowerPoint slide show presentation or simple digital trailer (using Animoto, Vimeo, or other sources) of an excerpt from a selected novel in verse. Use key words from the poem to guide the selection of pictures or images, as well as their interpretation of the scene. 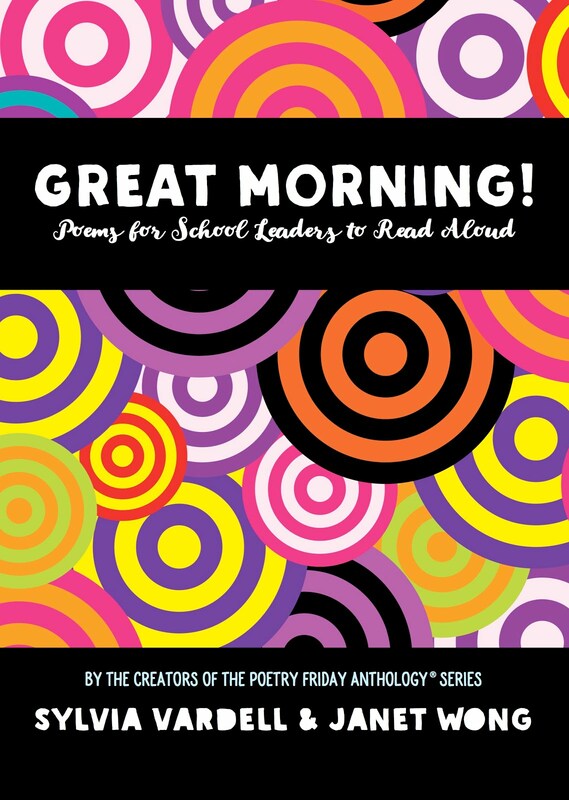 Then add the poem text and read the poem aloud as you view the slide show with the students. If possible, record the audio of the poem reading with a timed narration for the slide show. 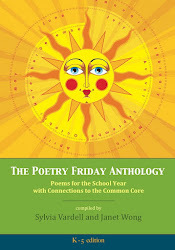 Consider adding relevant sound effects or a musical soundtrack as the background for a poem performance. Then play it for another class, in the library, at a public event like Open House, or air it on the school cable channel. Novels in verse written from multiple points of view lend themselves readily to readers’ theater adaptation. Work with students to choose crucial excerpts for each character and then give them time to become familiar with their characters’ selections. Students read their selections aloud (with or without simple props) in sequence. Consider recording their reading in audio and/or video format to share with others. This is also an excellent moment for talking about “point of view,” particularly when each reader voices a different persona or character. 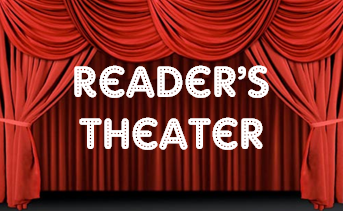 In addition, for students who compete in UIL or other similar events or for oral interpretation practice in drama/theater class, use verse novel excerpts with monologues or dialogues for solo and duet performances. 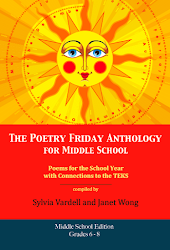 Talk with students about how a novel in verse is different from a prose novel (e.g., the use of white space, line breaks, poetic forms) and why an author might choose this verse format. Rewrite a poem page to show it in prose form for contrast. 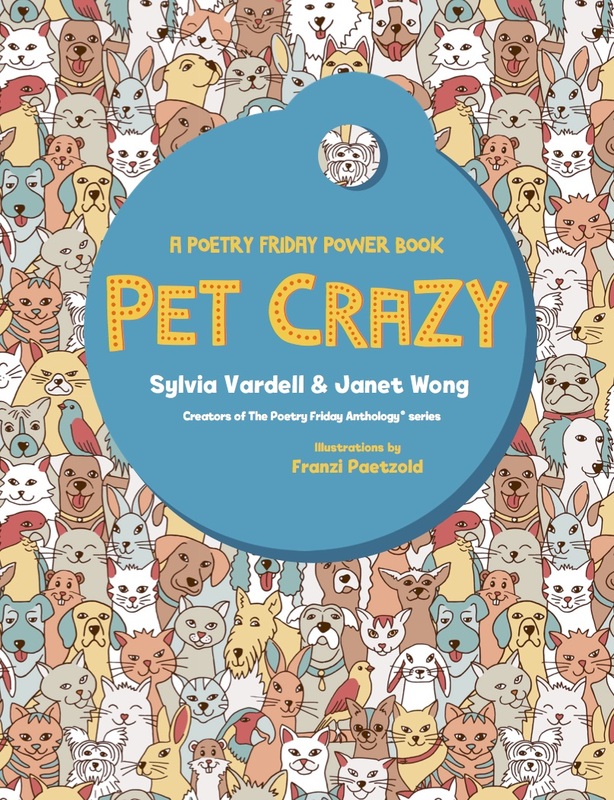 In many cases, the authors of these novels in verse incorporate a variety of poetic forms and types within the narrative, such as haiku, free verse, list poems, sonnets, invented formats, and more. Work with students to identify the specific type or form of your chosen verse novel(s) and talk about its distinctive features. Consider how the poem’s lines or stanzas fit into the overall structure of the poem and contribute to its meaning. Talk about why the poet might choose to include this particular form. 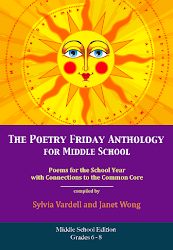 If you have an ambitious group of students, try creating a short collaborative verse novel together, with everyone contributing poems on the same agreed-upon event with multiple perspectives or a chronological, sequential story with multiple authors. 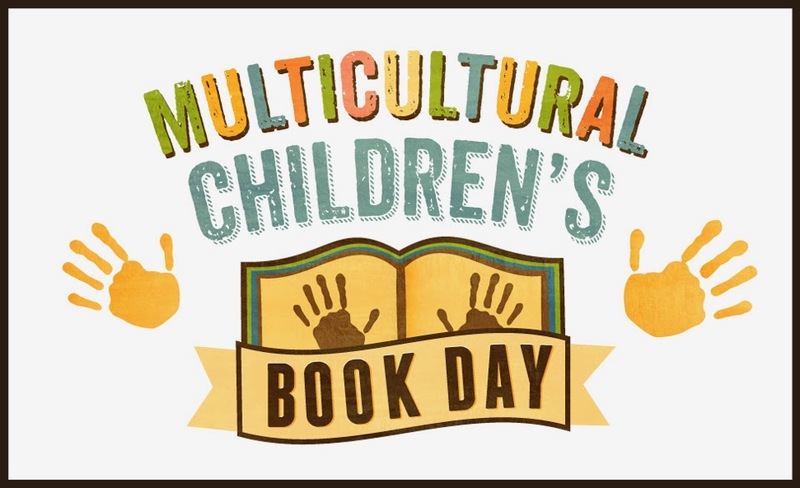 I recently noticed that Monday, January 26, has been declared Multicultural Children’s Book Day! (Has that been around awhile and I just didn’t know?) Very excited to see this development, along with the WNDB movement (We Need Diverse Books). I’ll post more next Friday, too. 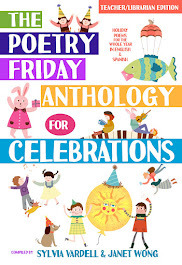 Meanwhile, join the crowd celebrating Poetry Friday at Live Your Poem hosted by the lovely Irene Latham. See you there! Thank you. What a great and important list. I'm going to share it. Thank you for the list, Sylvia. There are a few titles on there that I've missed. I need to check them out! 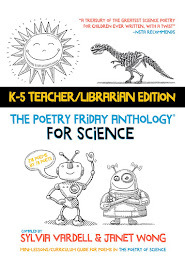 A fabulous list of books and important teaching points. Thanks! Love the list of activities you shared here Sylvia alongside the list of books. 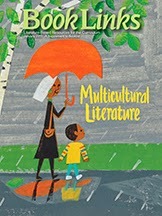 I will be teaching a higher-degree course this August on Using Multicultural Middle Grade/ Young Adult/ Graphic Novels to promote Socio-emotional Learning to teachers who are taking their masters and PhD - I will be sharing this wonderful resource with them - as well as making use of the titles you just shared here. Such an important and well needed post. Thank you!